(Scott Sommerdorf | The Salt Lake Tribune) FANx co-founders Dan Farr, center left, and Bryan Brandenburg next to him visit with fans in the Capitol rotunda, Wednesday, April 11, 2018. 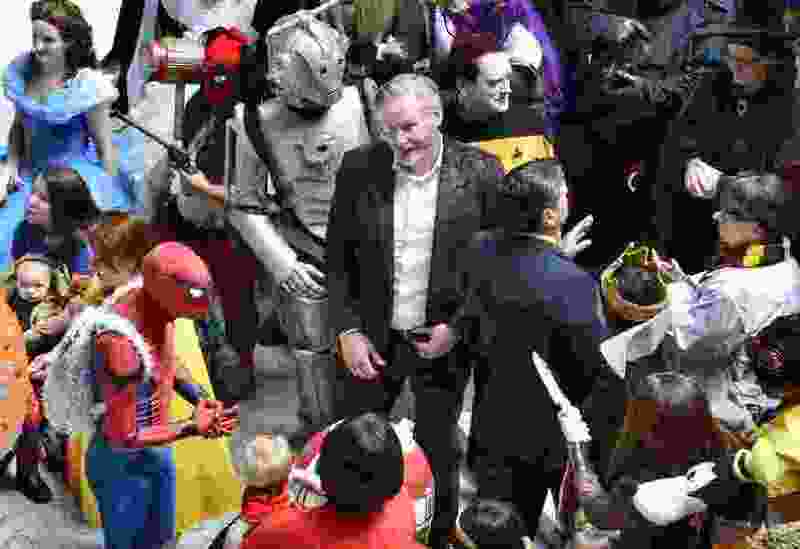 The lawsuit over use of the science fiction and fantasy convention name “Comic Con” might still be on appeal, but in a minor procedural step, a federal judge said his earlier ruling stands. The Salt Lake City-based convention now called FanX must pay $4 million in attorney fees, the judge affirmed Monday, FOX 13 reported. However, the 9th U.S. Circuit Court of Appeals stayed payment until it rules on FanX’s appeal. The injunction forbidding the convention from using “Comic Con,” like the more-famous gathering in San Diego, was made permanent, the station reported. It also has been stayed. FanX organizers are still hoping the appeals court reduces the amount it owes in the trademark-infringement case. The spring 2019 edition of FanX begins this week.